APHC On Tap | Consumer Focused Plumbing And Heating Blog: Strapped for cash? 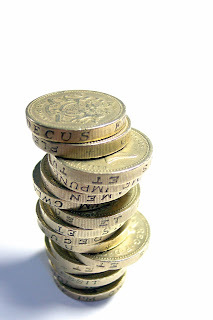 You could be saving money on your heating bills! Strapped for cash? You could be saving money on your heating bills! Throughout the autumn months, lots of us will be thinking about ways of saving money for that all-important Christmas shopping - from swapping to supermarket-own brands to opting to eat in rather than out at the weekends. When it comes to pinching the pennies, we tend to think first about things we can touch and see, but have you considered how much money making a few simple changes could save you on your heating bills? ensure they conform to the standard BS7386. Most insulation materials are both inexpensive and straightforward to fit, so there's no excuse not to make insulating your home your next DIY project! Loft insulation works like a blanket, trapping heat rising from the floors below. The recommended depth for loft insulation is 270mm deep - so even if you already have some fitted you could save even more energy (and money) by taking it up to this amount. To maximise efficiency, it also makes sense to lag your pipes and water tank too; fitting a British standard jacket around your hot water cylinder will reduce heat loss by over 75%, saving you another £20 a year on your fuel bill. Insulating your cavity walls could save you a further £160 a year and solid wall insulation, despite being more expensive to fit, could save you £260 in the same type of house. Another change to your home that could help you to make significant savings is upgrading your heating and hot water system, in fact, a new high efficiency condensing boiler with heating controls could save you up to £200 a year! Smart Heating Controls, which have the ability to learn about and adapt to your day-to-day routine will also could also help you to save money by turning the heating on when you want it, but switching off when you don't. To learn more about Smart Heating Controls, read last week's blog post here. Fitting a solar panel to your property could also help you to slash your energy bills by helping you to heat hot water for use around the home and what's more, you may be eligible for a grant to have one installed! Aside from making home improvements, there are plenty of things you can do on a smaller scale to cut your heating costs. Turning your room heating thermostat down by just 1 degree could cut your heating bills by up to 10%, saving you around £40 a year. Closing your curtains at night prevents heat from escaping through the windows, whilst you can take advantage of the cheapest form of energy (the sun) by opening the doors into rooms that get the most sun and allowing warm air to circulate throughout the house. Finally, fixing dripping taps and ensuring they're always turned off properly prevents energy being wasted in dripping hot water. A dripping tap wastes enough hot water in one week to fill half a bath! When having plumbing and heating work done on your property, remember to source a quality plumber at www.FindAQualityPlumber.co.uk. So why not spend some time this weekend making your home a little greener, and see how much you can save on your heating bills this winter?